From first song to last, Nexus Polaris is a metallic maelstrom. The songs are swirling cosmic excursions, with keyboards and female vocals providing distinctive and catchy melodies as the guitars and drums pound mercilessly beneath them. The harsh, high pitched rasp of the vocals are really the only true 'black metal' element on the album, despite the fact that it's band members hail from such bands as Mayhem, Arcturus and Ulver. The production is incredible, and really emphasizes all the different elements in the music, a near-perfect mixture of aggression and melody. Conceptually speaking, the lyrical themes are refreshingly absent of any satanic themes, further polarizing them from their black metal brethren. Instead, the band explores science fiction and outer space, as evidenced by such song titles as "Bizarre Cosmic Industries" and "Planetary Black Elements". Although it's difficult to pick a standout track, because every song is good, I could go with either the above mentioned "Bizarre Cosmic Industries" or the catchy "Bringer Of The Sixth Sun". 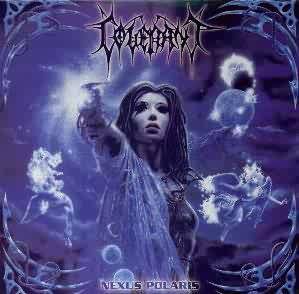 If you're not really into black metal but enjoy bands such as Children Of Bodom, In Flames or the most recent Samael albums, you'll probably enjoy Nexus Polaris.